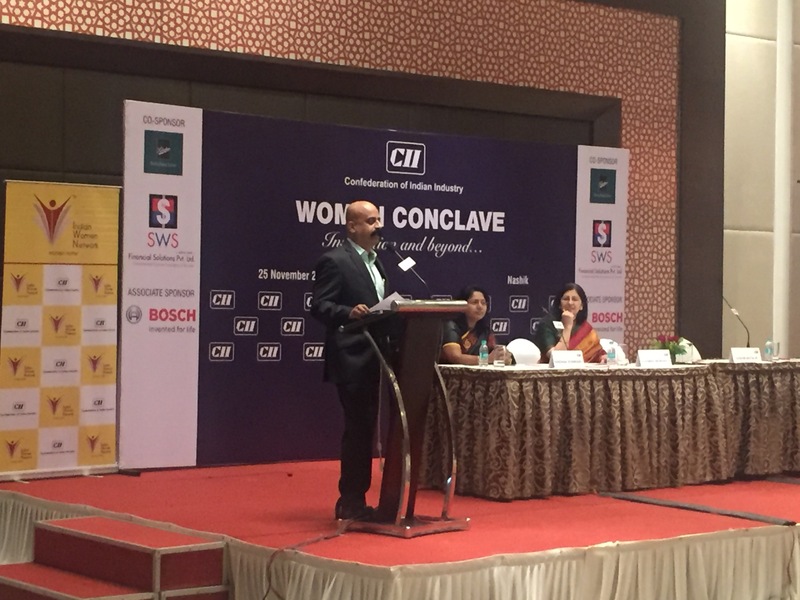 CII North Maharashtra Zone organised a full day “WOMEN CONCLAVE - Inspiration and beyond…”on Friday, 25 November 2016 at The Gateway Hotel (TAJ Residency), Nashik. Around 200 women were part of this conclave. The conclave viewed unstoppable women sharing their journeys towards being the change they wanted to see. The idea was to celebrate their achievements, salute their standalone spirit and appreciate their appetite for challenges. This one day conclave featured rich discussions, motivational addresses by successful global and Indian women achievers who had broken barriers and reached the zenith in all walks of life. Women as business owners, working women, women entrepreneurs & professionals were part of this conclave. The main aim was to provide them with necessary impetus to enhance their achievement motivation. IWN Maharashtra Chairperson Ms Kashmira Mewawala addressed the participants and shared her experience and thoughts regarding the good work done by IWN. Also spoke briefly on IWN initiatives.